Deliver application workloads to end-users and desktops in seconds. With one-click, IT can instantly provision applications at scale. Applications get dynamically attached to users, groups or devices, even when users are logged onto their desktop. Applications can be provisioned, delivered, updated, and retired for complete application lifecycle management. Optimized application delivery using a non-persistent architecture drives down compute, network and storage costs. 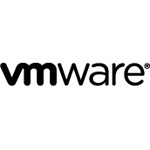 Applications can be managed at a 30% reduction in storage capacity using VMware App Volumes and Horizon 6 together. End users can take advantage of fully customized desktops and install their own applications. End users enjoy persistent user experience across sessions and IT benefits from the costs savings of a non-persistent architecture.